The feature is a work in progress, but it offers a hint at how your PC might integrate more deeply with an Android phone. When you’re tapping away at the computer it’s quite a nuisance to stop what you’re doing for the buzzing, ringing nag of a smartphone that’s on your desk. Each vibration or bing usually means another text message, email, sports score, or gaming update that distracts from what’re doing. It may not be that way for long. 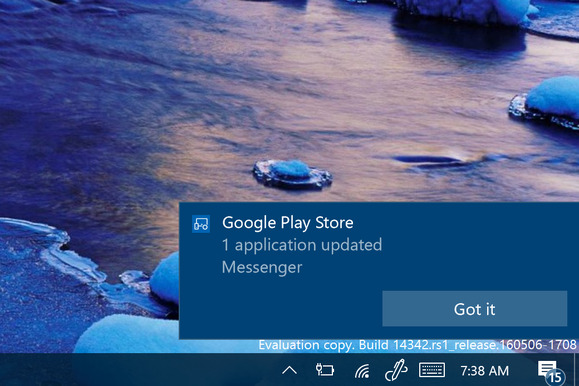 After teasing that Android notifications would come to the Windows 10 Anniversary Update this summer, the feature is already available if you’re on a Windows Insider build—and you’re willing to share some data with Cortana and put up with the usual bugs that come with unfinished software. Leave your phone on the desk and let Android notifications come to you. It’s very much a beta, with lots of limitations as to how deeply the notifications interact with the apps they’re coming from. But if you like to live somewhat dangerously, it’s a worthwhile exercise to see what Microsoft is up to, and could prove to be a compelling reason for Android users to align themselves with Windows 10. As mentioned, you’ll need to run the Windows 10 preview build in order to get your hands on the feature. The caveat is that things can get unstable and buggy, and you could be inundated with frequent updates. Most importantly you’ll need to have enabled Cortana in Windows and then download and install the Android app on your phone. Sign in to the app with your Microsoft account and then choose Settings > Sync Notifications and select which type of information you’d like to get pinged about on the desktop. 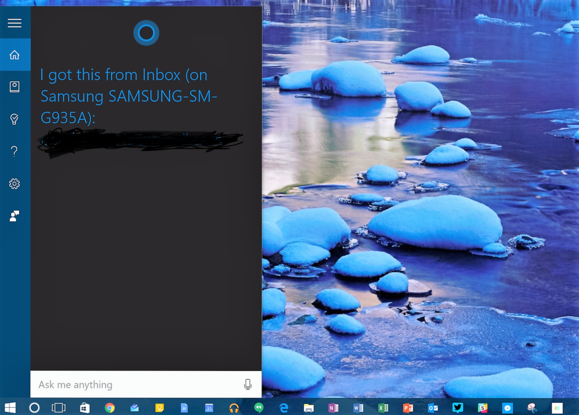 Cortana can sync missed calls, app notifications, and other content to your Windows 10 PC. Touch App notifications sync to choose which applications will ping you on your PC. 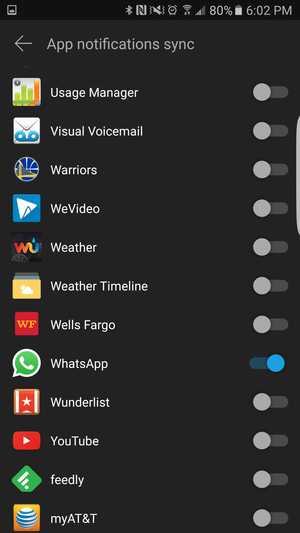 By default third-party applications are turned off. Depending on how many apps you have on this list, toggling them on one at a time could take a while, but you’ll be able to have direct control over what gets mirrored to your PC. Besides, you won’t want to select all of them, because it’s not like you need more Clash of Clan updates on another device. Another control panel you need to visit is found in Windows under Cortana > Settings > Manage Notifications. Then make sure that Send Notifications between devices is turned on. Decide which notifications you want to hear about on your desktop. You may have to wait a few minutes for notifications to first show up. 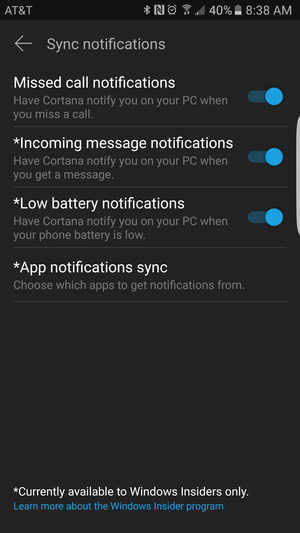 Give Cortana a little bit of processing time and soon you’ll hear the pleasant Windows notification sound the next time you get an alert on your phone. The most useful content to come across are text messages, as you’ll be able to not only view those but respond with an in-line reply. Same goes for Google’s Hangouts, though I definitely found there to be a delay when sending these across. You can reply to messages and get back to what you were doing very quickly. Some notifications are more limited in how much informaiton the provide. There are other quirks. When you respond to a text via your PC, you’ll get a message from Cortana on your phone that, you guessed it, you sent a text. 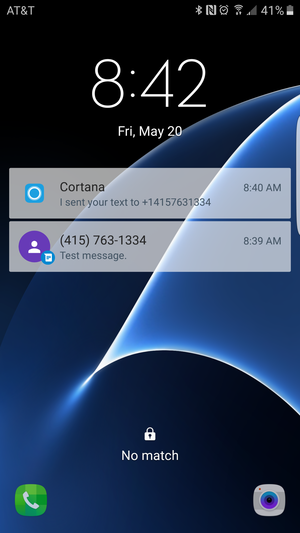 Cortana will let you know that it sent a text, though it won’t replace the original text notification. For now, you have to look at the feature as a work in progress. 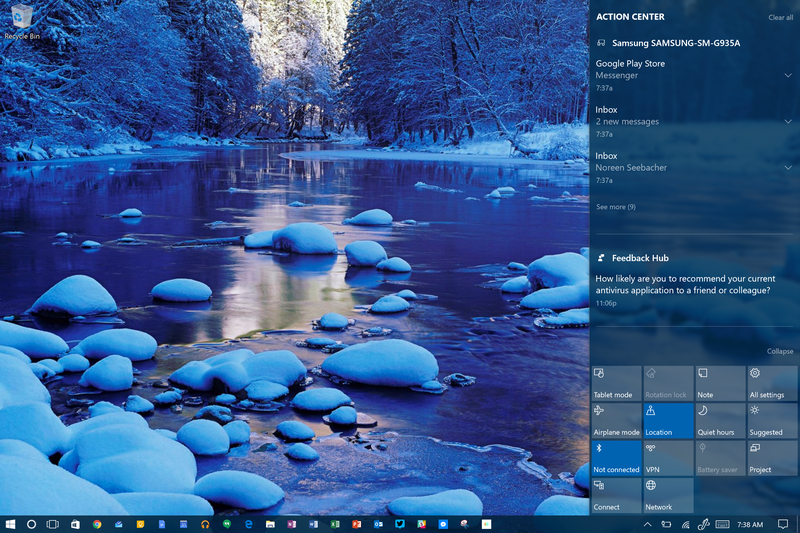 There’s a lot of potential, for instance, in how Cortana will group your notifications together in the Action Center, which you can then check on all at once. You can’t yet take phone calls on your PC, but you can get a notification if you’ve missed a call while you ran off to load up on snacks. The ability to make and take calls, however, would be another powerful motivator to implement this feature on your PC. This connection with Android is a great start. But to be truly useful there needs to be deeper integration between Android and Windows, which I expect to come by the time the Anniversary Update hits later this summer. 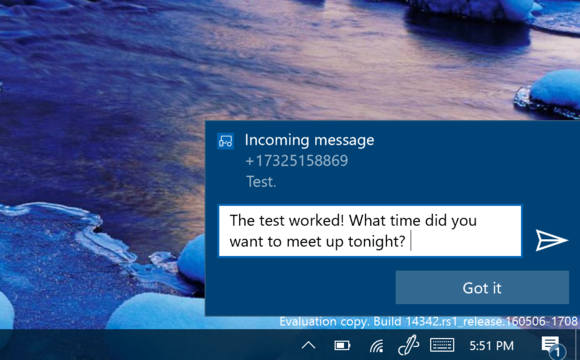 The SMS and Hangouts services could use a speed boost, and Cortana needs to find ways to let you respond to and view the content of more apps. And be aware that if you’re running Chrome you may get double notifications from services that are already pumping out a push alert through Google’s browser. But Microsoft’s effort is admirable, aiming toward the kind of phone-to-PC connection currently enjoyed by those with a Mac and iPhone. There’s definitely some work to be done, but it’s worth dabbling with this feature if you want to get pinged by your phone without actually having to look at it.